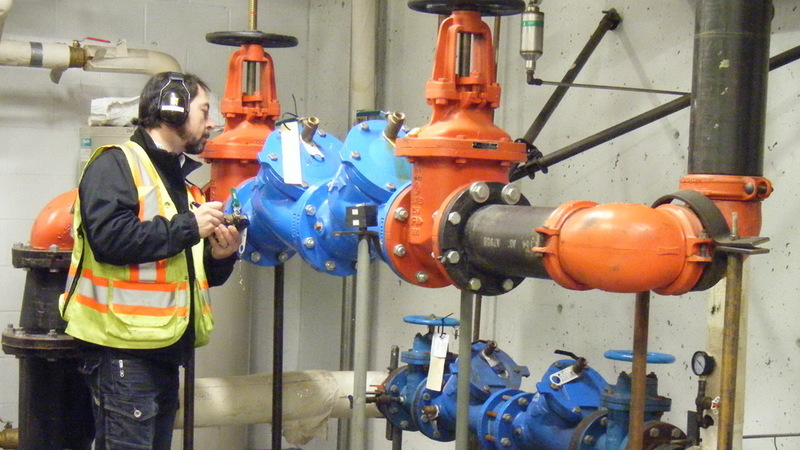 Are You At Risk From Plumbing Backflow? In the plumbing industry, ‘backflow’ is the term given to water when flow it flows in the wrong direction, basically in the opposite direction of mains water. When this occurs, the backflowing water can travels through the plumbing system and into the mains water supply. Be it from any kind of source – residential or commercial – this is a problem that must never happen, but when it does, the mains water supply can become contaminated. If poor quality water is travelling in the wrong direction and gets into the main pipeline, the mains supply can of course become contaminated. This is often referred to as cross-connection and can of course be very problematic to the wider population being served by the same water supply. Therefore, it is essential that the appropriate devices are fitted to prevent backflow, and that regular backflow testing Brisbane is performed to maintain the upkeep of the system. When water travels in the wrong direction, the cause of the reverse flow from say a home into a water main is simply when the pressure difference between the water supply and the residence. The imbalanced pressure, greater in our example in the home therefore forces the water backwards and into the mains supply. If the water is dirty, impure, unclean or contaminated in the home, and it is then drawn back into the water supply, this can of course cause other people to consume the contaminated water and subsequently fall ill.
All water that flows to domestic premises has been through rigorous cleaning and filtration processes to ensure its quality and make it safe for people to consume. Backflowing water therefore holds the potential to contaminate the mains supply. The more common causes of water backflow can be found in and around the home and many of us will be able to relate to the ease with which this could occur. In the places that we all frequent on a daily and weekly basis, bathrooms and bathtubs which use an extension on the water outlet for showering and washing, that are submerged in bathwater; kitchen sinks with the increasingly popular retractable hand pieces. Both of these instances hold the potential to become submerged in water that we’ve bathed or washed up in. Swimming pool areas where hosepipes are used to fill the pool are another typical scenario where backflow problems can originate. These are just a few examples of the everyday causes of water backflowing into a water system. This of course means that problems can easily arise. There are countless other predicaments that you face on a daily occurrence that can potentially lead to backflow, and ultimately, contaminated water. Perhaps a useful example of how backflow occurs is something many of us can relate to. Siphonage, exactly like when you drain petrol or diesel from a vehicle fuel tank with a hosepipe, occurs because the build-up of pressure in the pipe which has been inserted into the fuel tank system is greater than the pressure in the tank. This causes the fuel in the tank to be sucked in the opposite direction. Pressure build ups can be caused by many different things, but most often in the water system the main cause are breakages or leaks in the main water supply. A common problem in hot and cold climates, when the earth is either dry or frozen, movement of both expansion and contracting earth can cause the pipes to crack. The pressure caused in these instances is of course potentially great and as such, water is siphoned back against the usual flow of pressure. What is Involved with Repiping?